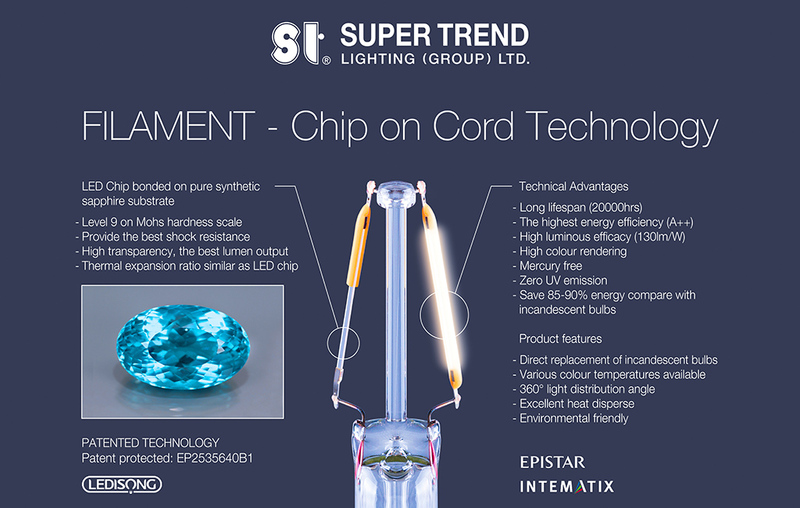 With 32 years of experiences and technical capabilities on product developments and manufacturing of green lighting products, STG has established the most advanced Filament LED manufacturing facilities and implemented the complete systems of R&D, manufacturing, quality management and customer services. The group is also accredited by ISO9001 and ISO14001 systems, and its testing center is accredited by authoritative third parties, including TUV Rheinland, BV LCIE, DEKRA and SGS. STG insists on offering high quality and performance products to customers, and providing our products and services with values of “one-stop-shopping” and “one-stop-services” to our customers. 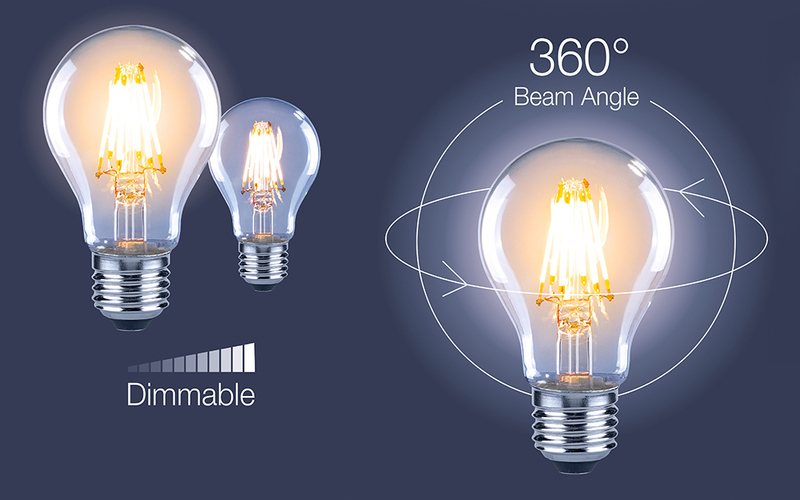 The STG’s high quality bulbs made through Chips on Cord technique is much brighter, more energy-efficient (Europe’s highest rated A++ energy savings), while reaching 20,000 hour lifetime with 360 degree light angle. Our quality has been affirmed by our clients, and has passed numerous countries’ inspections including CNS (Taiwan quality certification), CE (European product safety certification), UL (US safety certification), KC (Korean safety certification) and PSE (Japanese safety certification). 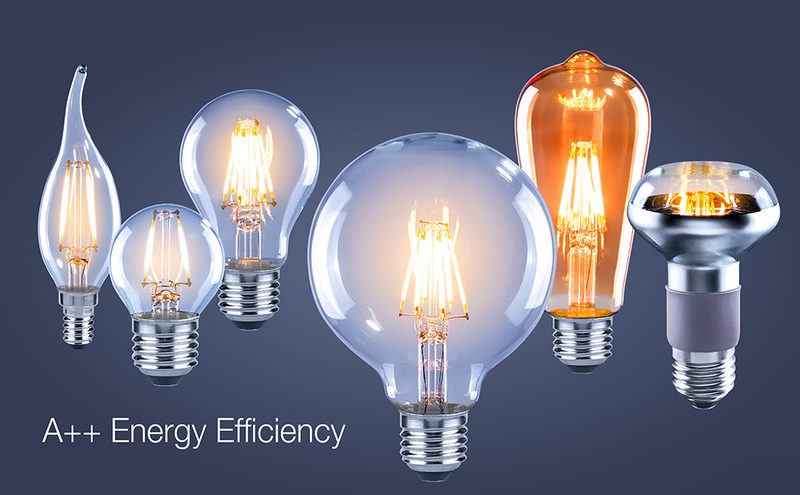 STG’s products are distributed across main markets of Europe, America, Japan, S. Korea, Middle East, etc., and our customer groups include OSRAM, GE, Feilo Sylvania, Home Depot, and other widely recognized lighting brands, US/EU retailers, DIY chain stores and distributors.